The Royal York Hotel, a AAA 4-Diamond Award establishment, is located in the heart of Toronto, Ontario in Canada, directly across from the Union Train Station. The Royal York has 1365 rooms, five restaurants and four lounges. 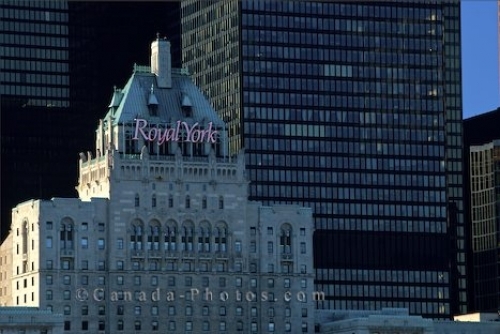 The Royal York Hotel in downtown Toronto, Ontario, Canada, North America. Picture of the luxurious Royal York Hotel in the heart of Toronto, Ontario in Canada.